Kauto Star was a French-bred race horse that claimed fame as a National Hunt champion. 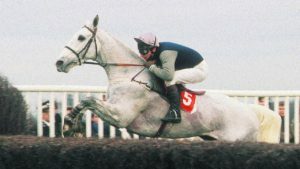 The gelding won two Cheltenham Gold Cups and amassed more than £3.78 million in winnings. Kauto Star won 23 races in 41 starts during his career. 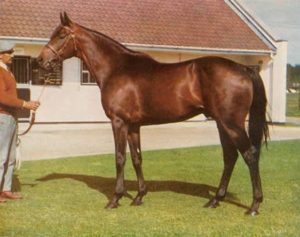 The horse was known as the greatest chaser of the 21st century, and based on his record of 23-7-4, it is difficult to argue with the claim. The Cheltenham Gold Cup wasn’t the only race Kauto Star excelled in. 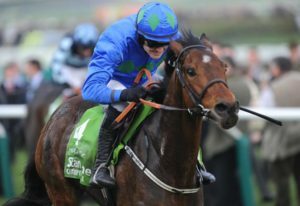 He won the King George VI Chase five times with the first four victories coming in consecutive years between 2006 and 2009. Trained by Paul Nicholls, Timeform has rated Kauto Star as the third-best steeplechase horse since the group began keeping records. Only famed horses Arkle and Flyingbolt achieved a better Timeform rating than Kauto Star’s 191. While Kauto Star achieved immense success on the race track, the horse was mired in controversy off it. In 2012, owner Clive Smith retired the gelding and Kauto Star began competing in dressage events. The decision was against the wishes of trainer Nicholls, who wanted the horse to remain at Ditcheat farm. The owner and trainer fell out due to the circumstances surrounding the horse. Less than three years later, Kauto Star was put down by vets following a fall. 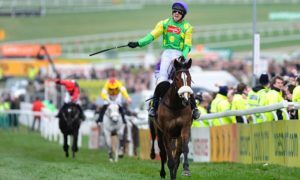 The 15-year-old horse had broken his neck and pelvis; and due to the development of pneumonia, Kauto Star was finally put down. It is believed the horse’s initial injuries occurred when he tried to jump out of the paddock. Kauto Star’s legacy lives on as he was one of the most successful National Hunt race horses of the last 20 years. Despite an early death, Kauto Star still made a major impact on the horse racing world. Frankel was a powerful racing stallion that top the World Thoroughbred Rankings in 2011 and 2012. His career may have only lasted 14 races, but Frankel finished his time as a race horse undefeated. The horse’s ability on the race track was second to none, and due to Frankel’s running power, his stud fee is one of the most expensive in 2018. A date with Frankel will cost horse owners £175,000. It is a small price to continue the horse’s bloodline. Frankel raked in nearly £3 million during his racing career, and one of his offspring could exceed that figure one day. Trained by Henry Cecil and owned by Khalid Abdullah, Frankel began his career in 2010 as a two-year-old. His first race at Newmarket ended in a half a length win as jockey Tom Queally rode the horse to victory. A month later, Queally rode Frankel to victory at the Frank Whittle Conditions Stakes. There, Frankel won by 13 lengths. A year later, at the 2000 Guineas Stakes, Frankel won the race by the biggest margin since 1947. 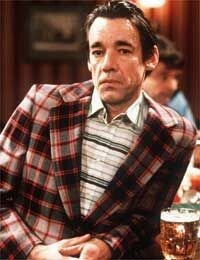 He also entered the race with the shortest odds since the mid-1970s (½). The wins just kept coming for the powerful stallion as he won the Queen Elizabeth II Stakes, Queen Anne Stakes, International Stakes and Championship Stakes. For all 14 race wins, Queally sat in the saddle. In October 2012, Frankel was retired following his Championship Stakes win at Ascot. His originally stud fee was £125,000, which was increased in 2018. In Frankel’s first year as a stallion, he covered 133 mares. Frankel’s first offspring to be auctioned off was sold for a whopping £1.15 million. Frankel’s stud fee isn’t the highest being commanded in the horse racing industry. Frankel’s father, Galileo, has a fee so high that it has not been made public. Obviously, the bloodlines have produced winners and horse race owners are looking to continue breeding winning offspring through Frankel. 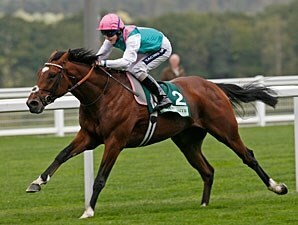 Now living the high life as a stud, Frankel is remembered as one of the best horses of all-time. His race record speaks for itself as his 14-0 is one few other horses will ever touch.